Do you consider yourself to be a great salesperson? 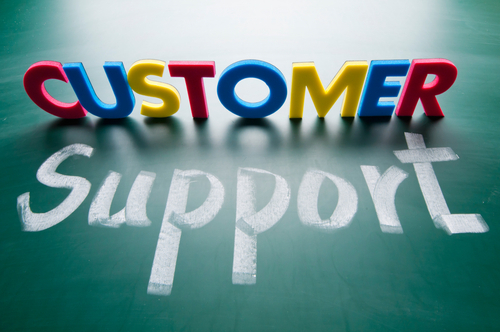 Do you strive to keep your customers happy, or are you just focused on selling? Great salespeople don’t just stop at the sale — they go above and beyond to make the customer feel appreciated. It’s been said that it costs five times more to attract a new customer than it does to keep an old one. In order to thrive as a salesperson, it’s important to retain customers, which are a primary source for generating new leads. In the insurance industry, a large percentage of an Agent’s new business comes from existing customers. According to the “80/20” rule, many Agents find that 80% of their new business comes from 20% of existing customers. Since the hard part — gaining a customer — has already been accomplished, it’s important to remain in the good graces of your current customers to increase the chance that they’ll purchase from you again in the future. Satisfied customers are more likely to provide profitable leads, since they trust you and the reliability of your products. Simple acts that indicate you care about a customer can make all the difference in your success as an insurance Agent with American Income Life. Always greet your customers with a smile and eye contact — no matter what! Handwritten thank-you notes and birthday cards are ways to let your customers know that you care about them as people, and not just for their business. Going that extra mile by following up with customers and keeping in touch sets you apart from other, money-hungry salespeople. Emphasize the value of the customer and give them not just what they expect—give them more than they expect. Get to know your customers as people. Find out about their interests and families so that when a new American Income Life product is available that fits their needs, you’ll know where to go for an almost guaranteed sale. Keep in mind that your job doesn’t stop at the sale. Continue to do thoughtful things that indicate you care about your customers and their business. The job of an American Income Life insurance Agent is both honorable and noble — you’re here to help protect people during the darkest days of their lives. Now that’s something to smile about.